With Pinterest constantly growing and releasing awesome new features, business owners and digital marketers really need to start thinking about their strategy for this social channel. Here are a few tips to help you get started. 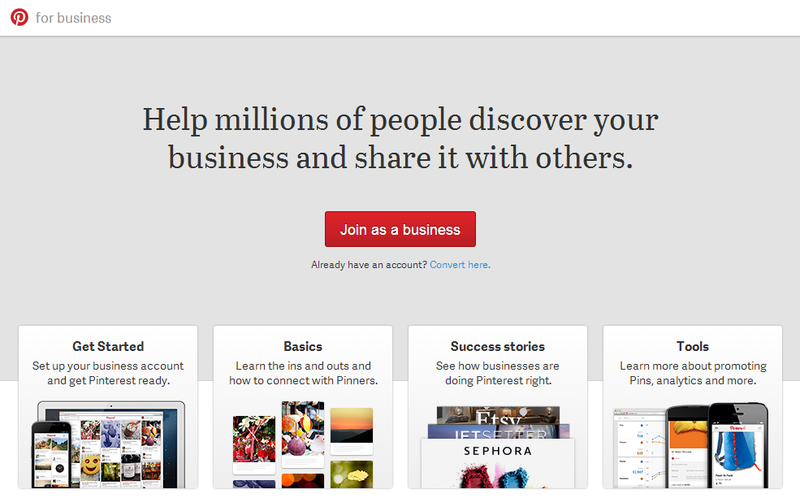 If you don’t even have a Pinterest account for your business yet, go to the Pinterest for Business page and click on the “Join as Business” button. Make sure to optimize your business profile by including descriptive keywords in your profile name and description. This can help your business page become more visible in Pinner search results. Don’t forget to verify your website using an HTML file or with a META tag. This will grant you access to your website’s Pinterest Analytics, which I’ll discuss in further detail a few paragraphs down. Having your own Pinterest for Business account won’t help you if your website doesn’t have great content to pin. You need high quality product photos and visuals that pinners will be eager to add to their boards. You should also that users can also pin videos and articles to their boards. This means you need to maintain high standards across all the different types of content you publish. Pinners can add the Pin It button to their browsers, but it helps to include Pin buttons on content pages to make things easier for them. You can also add Follow buttons, or profile/board widgets to your website to really integrate your Pinterest efforts into the rest of your digital strategy. You can create buttons and widgets using Pinterest’s widget builder. All this information allows you to see what type of content your target audience likes to share on Pinterest, and can help you develop a better content strategy for your website. Pinterest has been really busy the past year, releasing a lot of great features that make Pinterest better for businesses and regular pinners. Being familiar with the most recent features allows you to integrate them into your digital media marketing campaign. 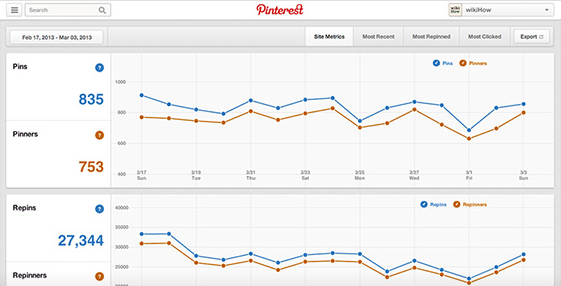 Promoted Pins: Pinterest started testing promoted pins in October. This move toward paid advertising was met with mixed feelings, but could provide a lot of great opportunities for businesses. Most Popular Pins API: This API allows brands to display their most popular pins right on their website. Pinterest said this is the first of the many APIs they have in the works, including most recent pins, top repins, related pins, and pins for specific search terms. Place Pins: Users can now specify locations in their pins and include interactive maps on their boards. These pins also display additional details for restaurants and other establishments, including their contact numbers and addresses. Pinning and engaging your audience in creative ways are the best ways to get your brand noticed on this social sharing platform. Take cues from brands that managed to use Pinterest creatively, like GUESS, Peugeot and British Midland International (BMI). Peugeot Panama’s creative Pinterest campaign caught the attention of many consumers and social media marketers. Your social media efforts shouldn’t be focused entirely on Facebook or Twitter. Contact us and allow us to develop an integrated social marketing strategy for your brand.